Tomorrow, Tuesday 1st May, will see the monthly Stirchley Community Market come round again, at Stirchley United Working Men’s Club from 4pm – 8pm. It’s been a really wet few weeks since our last market was rained off, and to be honest, the forecast doesn’t look too good for tomorrow either, but we should be able to take cover inside the lovely confines of the club, meaning that we’ll be dry and warm. We’ll be keeping our fingers crossed that we can all get outside for the next market in June, which is on a bank holiday. We have lots of stalls to choose from and some new stallholders, (including a new hot food stall) and also a treat in the form of some live music at around 6pm, from a great new acoustic, instrument-swapping, harmonising, local folk band called the Mistakings: so come along and have a listen and a shop or a shop and a listen. We’ll also be selling fried chicken seasoning and tunes from Stirchley very own folk-rock supergroup, Friends of the Stars. And meat and sausages from Stirchley’s own Wolsey Sausage Company. Photos chronicling local scenes and events by The Brum Reaper. 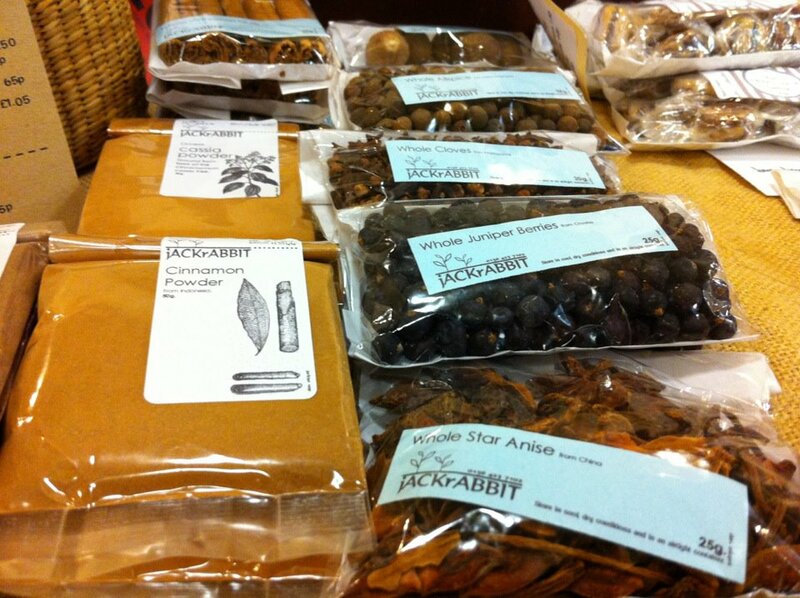 It’s great to see the market thriving, and to see such an appetising shot of jACKrABBIT’s spices! My daughters, my partner and I really enjoyed the Mistakings, especially the cup percussion: it’s become quite an event in our month!